The stakeholders, under the auspices of Kogi Rescue Group, on the heels of last week’s announcement by the Independent National Electoral Commission (INEC) of November 2 date for the governorship election in the Confluence State. In a statement by Alhaji Yusuf Mohammed Idah, they cautioned against using the results of the recently conducted general elections to rate the APC in the state, adding that only the Presidential Election, which was won by President Muhammadu Buhari, truly reflected the ruling party’s status in the state. The statement reads: “The question is what the status of APC in Kogi State today? During the general elections, it won seven House of Representatives out of nine in the state. “It lost West Senatorial and two seats of the House in the National Assembly Elections, while the ADC and the PDP won the two seats in the House of Representatives in Yagba East/Yagba West/Mopa Amuro and Kabba Bunu/Ijumu Federal constituencies. APC, however, won in Lokoja/Koto Fedral Constitueny. President Muhammadu Buhari also won the election in the state. “In the State Assembly election, the APC won all the 25 seats available. The State Assembly Elections were allegedly marred by serious violence and there were guns everywhere. Fake army in SARS uniform were used by thugs to intimidate voters. “Money was also allegedly used to buy the unwilling voters. We are sure if the elections were free and fair, the results would have been different from what we have now. The stakeholders described as unfortunate that Governor Yahaya Bello has frustrated every effort made to genuinely reconcile aggrieved members of the party since he took the saddle as beneficiary of the Audu/Faleke election declared inconclusive by the INEC. Prince Abubakar Audu, the APC was leading the then incumbent Governor Idris Wada of the Peoples Democratic Party (PDP) with over 41,000 votes and the areas where elections were cancelled/or not conducted had 22,000 voters that had the Permanent Voter Cards (PVCs). The group described as strange that the electoral umpire declared the poll as inconclusive and ordered a makeup election when a clear winner had emerged on the first ballot. “As at that time, if all outstanding votes were given to the PDP free of charge, Audu/Faleke ought to have still been declared winner. But the powers that be denied democracy to prevail. This was the beginning of inconclusive elections by the INEC”, they said. The elders said that rather than incorporate members of the Audu/Faleke team that ensured victory for the APC, “Governor Yahaya Bello, who is the beneficiary, appointed council chairmen, commissioners, SSG, SA and SSA all from PDP, who worked against the success of the APC. 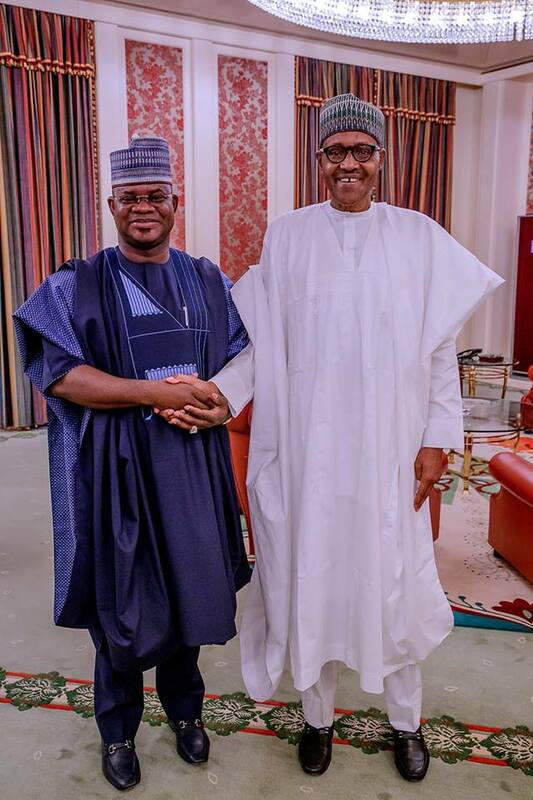 “Remember that about three reconciliatory committees were set up and all the three met with Faleke and his team but GYB (Governor Yahaya Bello) rebuffed the committees and nothing came out of the reports. “The NWC on its part must as a matter of urgency call the old warring factions of Hon James Faleke-led group and that of GYB to a roundtable and agree on the way forward for the party in the state. They warned the party against relying on intimidation of the electorate to retain the state as the voters had been politically educated to cast their ballot for individuals and no longer parties. According to them, the National Assembly Election in the Kogi West Senatorial District, which the APC lost attested to this fact. They said: “A very good exception of the above was that of the West Senatorial election, where the government of Yahaya Bello had turned Senator Dino Melaye to a household name with all the court cases and lack of good governance at home. “He made the people to have sympathy for Melaye and at the same time show anger against his government. Melaye was not particularly loved due to his role in the annulment of the election that would have seen his kinsman become the first Okun man to be governor which the senator never wanted to happen. “Thus his victory at the senatorial election was because there was no alternative candidate that was credible to face Senator Smart Adeyemi and Yahaya Bello. The people thus opted for the ‘enemy of my enemy is my friend adage’ so the people voted against GYB not for Melaye, who was just the beneficiary of the protest vote. “The winning formula for the APC in the next governorship is if true, purposeful and satisfactory reconciliation is done before the party primaries. The Kogi Rescue Group said it has become important for genuine reconciliation to take place. “Remove Hon James Faleke from the equation and APC will be served the Adamawa and Bauchi dishes,” the group said.